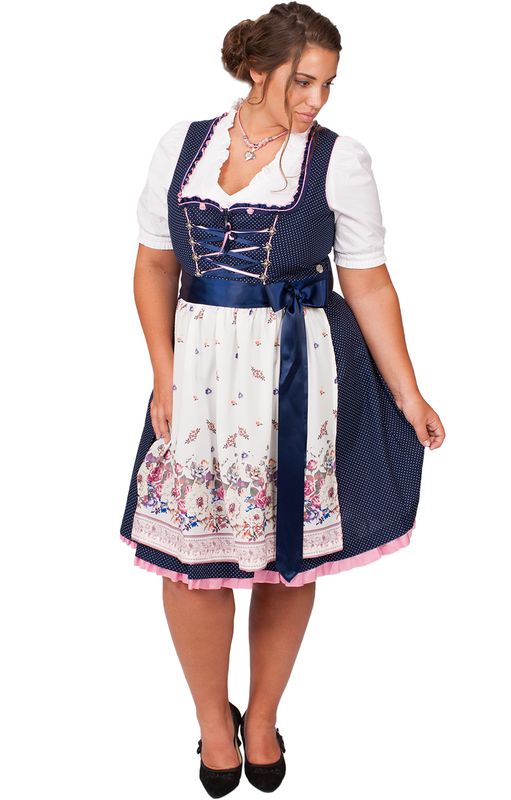 Blue and rose-coloured plus-size Dirndl dress. 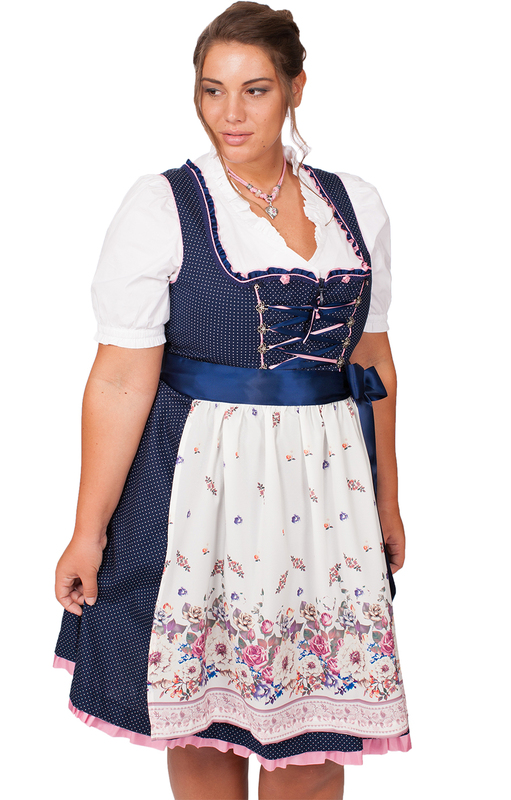 The dark blue of this Dirndl will perfectly flatter the larger form and is complimented by a pretty rose colour on skirt edge and the frill piping of the heart-shaped neckline. 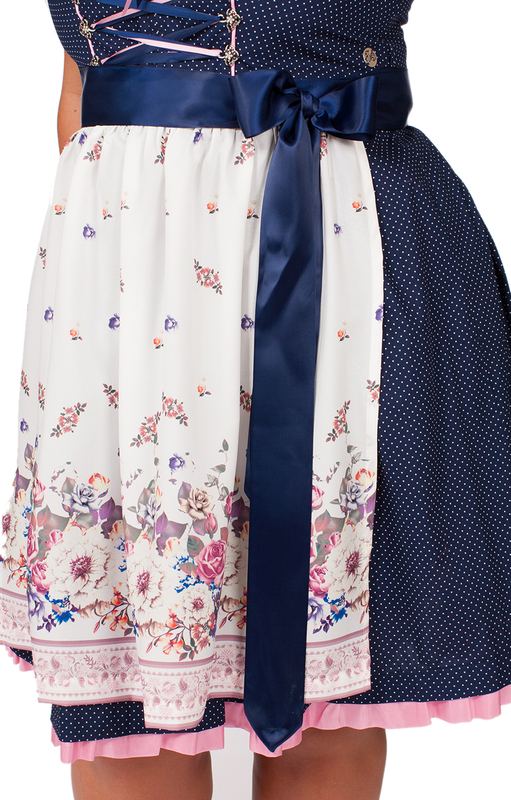 The classic Oktoberfest look is completed with a wide blue ribbon that runs around the waist to tie on the cream floral apron.